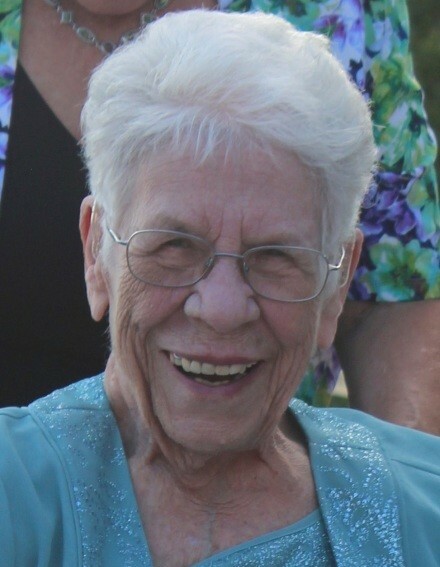 Henrietta 'Etta' Bunger (nee Medeiros) received final blessings and passed away March 29, 2019, after a short illness. Born July 1, 1925 in Fall River, MA, she was raised and married there. Moving to Illinois as a wartime bride, Etta considered Rochester her home for the last 59 years. She was preceded in death by her husband, Dean F. Bunger, 4 brothers and 1 sister. Surviving: her sister, Irene Mello, of Fall River. Great-Great Grandchilden: Gunner Bennett, Collins Bennett, and Sloan Bennett. Also surviving dozens of nieces and nephews. Her feisty spirit, caring, compassion and humor will be missed by so many. She loved her community and friends, was an avid bridge player, and a licensed 'Ham' radio operator. Etta loved traveling, handicrafts and garage sales. She was a member of St. Jude Catholic Church,S. Walnut St., Rochester, IL, where friends may call from 9:00 to 10:30 on Wed April 3, 2019. A funeral Mass will follow at 10:30, with Father Brian Alford officiating. Deacon Tom Walker will assist with graveside services at 12:00 noon, Camp Butler National Cemetery. In lieu of flowers, any memorials may be made to St. Jude Catholic Church or The Rochester Historical Society. Wilson Park Funeral Home in Rochester, IL is in charge of arrangements.